In an act of unspeakable terror, a lone gunman shot and killed twenty children and six adults at the Sandy Hook Elementary School in Newtown Connecticut. Thinking something good has come out of Sandy Hook is almost obscene. But the fact is, that as a direct result, a meeting was held on April 2, 2013, which included law enforcement, fire services, emergency medical services and trauma specialists. New thinking at this gathering resulted in the adoption of The Hartford Consensus - new protocols to train and equip citizens and first responders to rapidly intervene and stop life-threatening bleeding. The resultant program Stop The Bleed is now part of the U.S. Department of Homeland Security. Many organizations, including the American College of Surgeons and the Committee on Trauma contributed to the program development. Worldwide it is estimated that as many as one million people will bleed to death annually. Victims of severe hemorrhage can bleed out in less than 5 minutes. The likelihood of Emergency First Responders arriving on time is, at best, slight. In fact, a Canadian study estimated that 2,400 Canadians will bleed to death annually. Sadly, 25% or more could have been saved, had effective bleeding control measures been quickly applied. Stop The Bleed Canada has expanded the program by developing training devices that use theatrical blood to add realism to the educational experience. Stop The Bleed Kits, military style tourniquets and Celox Rapid Gauze is available for purchase from Emergmart Response Systems, Inc., which holds a Health Canada Medical Device Establishment License, to manufacture and distribute medical equipment and products. Mitigating the impact of an Active Shooter/Attacker situation requires pre-planning. Emergmart can assist organizations by supplying useful information that can be customized for Houses of Worship, Workplaces, Schools, Colleges and other places which may become a target. Stop The Bleed Canada is an educational program to train and equip bystanders as Immediate Responders, who can provide lifesaving bleeding control before paramedics arrive. Although Stop The Bleed was created for mass shooter incidents, the fact is that people are bleeding to death daily from injuries due to a car crash, workplace accident, hunting mishap, weather systems – the list goes on and on. So, while this program is vitally important for mass attacker incidents, it is just as important for everyday incidents. 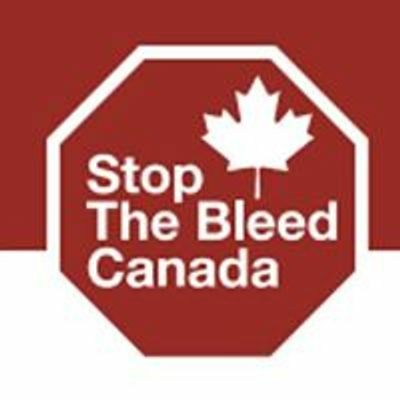 Stop The Bleed Canada’s training program is 3 - 4 hours and participation is limited to a maximum of 16 participants. A Minimum of 12 participants is required for on-site courses. Each participant will receive a 16 page Stop The Bleed Canada Booklet and certificate of attendance. Course includes Scene Safety, Situational Awareness, Run, Hide, Fight survival concept, and Basic Triage or sorting of patients in a mass casualty incident. Participants learn to recognize life-threatening bleeding and take appropriate action which includes applying a military style tourniquet, packing the wound with a hemostatic dressing such as Celox Rapid Gauze and appropriate bandaging techniques. Stop The Bleed Canada’s unique training devices actually bleed (theatrical blood) bringing realism to the training. Real life is messy - so is this course. An Active Shooter/Attacker event can occur anywhere at any time. Two recent Toronto events, the van attack on Yonge Street and the shooter on Danforth Avenue clearly illustrate that Canada is not immune from terrorism or other acts of violence. When you consider muli-vehicle highway car crashes, natural gas explosions, workplace incidents, fires and natural disasters like hurricanes and forest fires, the need for well trained and equipped Immediate Responders becomes crystal clear. The majority (FBI reports 40%) of Active Shooter/Attacker incidents occur at workplaces. Offices, factories and warehouses are at risk and therefore really need to be prepared for the unthinkable to actually happen. Why is this so? Lots of reasons, but the truth is that the people who have perpetrated these tragic crimes have, on average, 3.6 indicators of violence. Some of these indicators are recent illness, death of a loved one, loss of employment, resentment over a work incident or lack of promotion, drug/alcohol abuse etc. Traditionally emergency response, in organizations was provided by trained security officers. 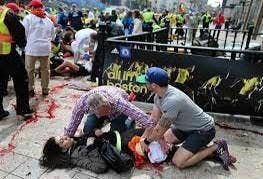 However, in an Active Shooter/Attacker incident the security officers are at as much risk as everyone else. Accepting this fact, leads to the realization that as many people as possible should receive Stop The Bleed training, so that the survivor closest to a victim can start providing life saving critical care. In 2016, Canada's National Collision Database, reported 36.4 people were killed in vehicle incidents every week in Canada. How many could be saved if the vehicle behind the crash had a driver trained and equipped to provide lifesaving care? Transport truck drivers arriving on the scene of a highway crash before emergency responders, can make a significant contribution to highway incident death reduction. Bullet Resistant Vests worn by law enforcement, security and paramedics do not protect the extremities or the head. Bullets can reach under the vest into the abdomen, the chest through the arm pits and the upper chest and neck. Most vests offer little to no knife protection. Every emergency responder and security person should have immediate access to a Stop The Bleed Kit and the training to go with it. The only thing more tragic than a death - is a death that could have been prevented.